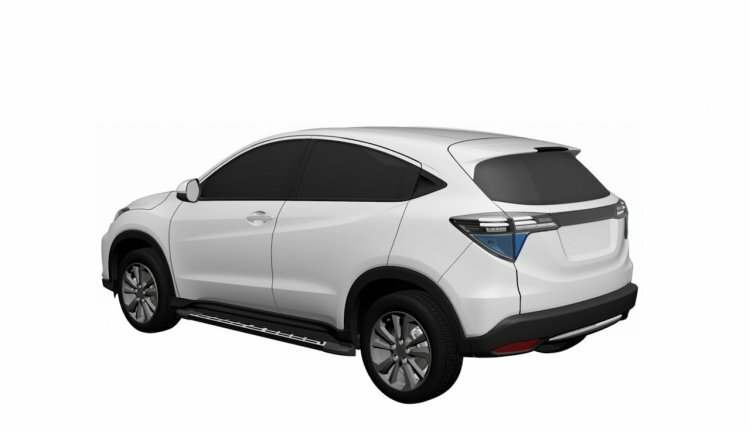 The Honda HR-V-based EV has leaked online in patent images. It is the Japanese automaker’s first mass-production EV for China. The Honda HR-V based EV is a GAC-Honda product. The Honda HR-V-based EV was previewed with the Honda Everus EV Concept at Auto China 2018 in April. The production version looks very close to the global SUV from which it originates. Most design changes are at the front. The charging port is located behind a flush panel in the upper grille, while the distinctive lower grille is a closed-off piece meant just for aesthetics. Vertical LED DRLs are positioned on the latter’s flanks, inside the C-shaped pronounced outer-ends of the redesigned bumper. The blue colour above the charging port is likely a charging status indicator. The same hue is an accent inside the headlamps and a tint of the tail lamps’ lower portion. The tail lamps are connected via a stripe, although it’s unclear whether it’s light as on the concept or just a tailgate embellisher. 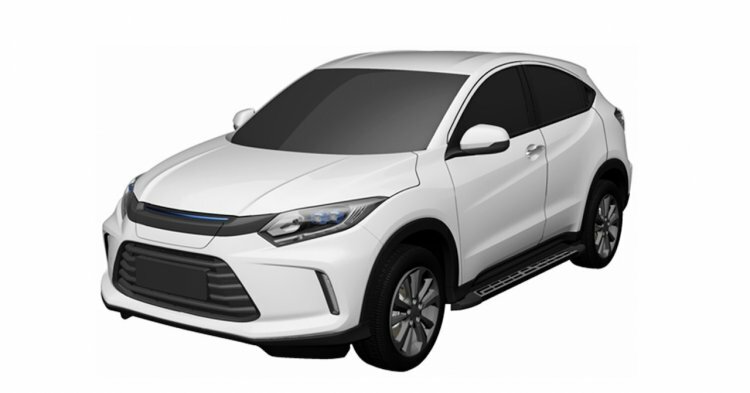 The Honda HR-V-based EV will hit the Chinese market as the rejuvenated Everus brand's first car. The Honda HR-V-based battery-powered SUV is a GAC-Honda product. It will go on sale before the end of this year under the Everus brand that the joint venture company relaunched with the debut of the concept mentioned above. There’s no word on the driving range, charging time, maximum speed or other specification of the pure electric sub-compact SUV. One thing for sure is that it’s a China-only model. A pure electric Jazz is planned for launch in H1 2020, and perhaps that sub-compact Honda EV is the one intended for global markets. As for the Honda HR-V itself, that's not an India-bound model either, IAB revealed in an exclusive report recently.